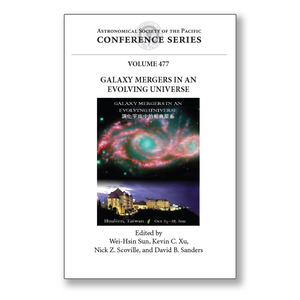 Galaxy mergers play a vital role in the evolution of galaxies by building more massive galaxies, triggering starburst and AGN activity, and transforming spiral galaxies into elliptical galaxies. At the same time, accretion of dark matter and intergalactic gas (IGM) are also significant to the cosmic evolution of the dark matter halos and galaxies within them. The purpose of this workshop was to bring together observational and theoretical researchers in this field to synthesize recent results addressing major unanswered questions. What are the frequencies and basic characteristics of mergers in different cosmic epochs? Are most of high-redshift extreme-starbursts and AGNs mergers, or are they galaxies with significant accretion of cold IGM gas? Are nearly all elliptical galaxies formed through mergers? Do mergers and normal disk galaxies have different star-formation/gas-density relations (Kennicutt-Schmidt law) and stellar initial mass functions? There have been major advances in both theory (higher resolution simulations with radiative transfer and modeling star formation, IGM accretion, and nuclear accretion) and observations (Spitzer, Akari, and Herschel observations constraining merger rates, star formation histories, and galaxy mass and luminosity distributions at high redshifts). This meeting sought to integrate these many advances, identify major uncertainties, and set future directions for high-redshift galaxy evolution research in the era of ALMA and JWST.